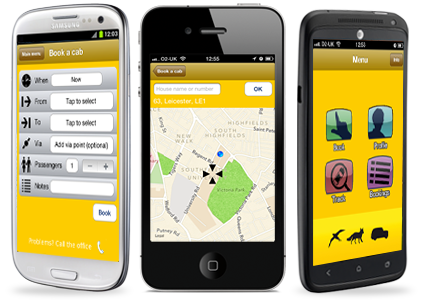 What are the benefits of choosing SwiftFoxCabs as your prefered taxi service? Special rates and internet booking facility. Swift Fox Cabs cover all airports and seaports at competitive rates with a door-to-door service you can rely on. Our uniformed drivers offer a friendly, reliable service, which allows you to enjoy your trip from leaving the front door to arriving back again after that well deserved holiday or important business trip. Book online in seconds with our fast, user friendly service. For those unusual journeys or maybe just to the airport. 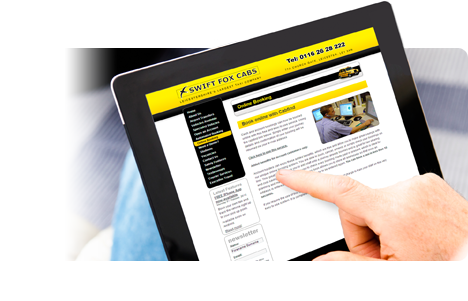 Leicester taxi company Swift Fox Cabs are Leicester's leading taxi company and have been providing taxi services and airport transfers to many leading companies for over 45 years. From saloon cars to people carriers to wheelchair friendly cabs, our extensive fleet has a vehicle for you. Our many services include not only passenger transport but courier services and airport transfers. This includes overseas airport transfers which you can now book online. Click here. We have a totally computerised booking and despatch system and the ability to track the exact whereabouts of all vehicles via GPS. We offer a first class service with experienced uniformed drivers and specialise in business accounts with free internet booking facilities. Call us now to see how we can help solve your transport needs.